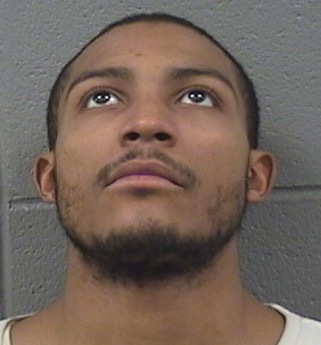 A 25-year-old convicted felon who was charged with being a Peeping Tom in Boystown in September is now charged with beating and robbing a man downtown. Jerry Brown of Woodlawn approached a 49-year-old man in the 300 block of North Lower Michigan Avenue around 2 a.m. on Tuesday and demanded the victim’s money, police said. When the victim said he didn’t have any cash, Brown punched him in the face and then went through the man’s pockets, taking $50 and a Starbucks gift card, according to prosecutors. Cops caught up with Brown near State and Washington a few minutes later. He’s charged with one count of robbery. Bail is set at $25,000. Records show that Brown was arrested in Boystown around 11:30 p.m. on September 2 after a woman reported seeing him peeking in her windows in the 800 block of West Aldine. He was charged with two counts of criminal trespass to residence and disorderly conduct-window peeping. The status of that case was not immediately available due to the holiday. CWB's newsgathering is funded donations to our Tip Jar.